Many of us bear some of the physical attributes of our parents. We may have the same nose as our dad or a smile that resembles our mother. Genetics have determined certain aspects of who we are. There are also characteristics we receive from our parents that aren’t genetic. Those traits are very clear when we say a phrase that sounds just like one of our parents, or we make a decision that was determined from something they taught us as a child. We take on these characteristics because our parents have a huge part of our development as a person. We spend an enormous amount of time with them, and their influence shapes who we are and what we become. 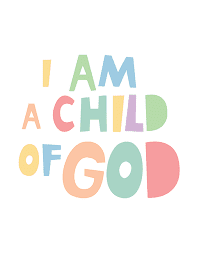 In 1 John 3:1-6, we are referred to as “children of God”. That is an incredible concept! If God is our father, shouldn’t we begin to take on the characteristics He displays? Today’s Challenge: Ask yourself this question: Who do you want to be like? So many of us want our lives to reflect the life of Jesus, but the time and effort we put into knowing Him doesn’t match up. Just like any relationship we have on earth, getting to know someone takes effort and communication. Spend extra time today getting to know your heavenly Father. This can include reading His Word, praying, and even having open dialogue with others about who they think He is. You will have the opportunity to learn about the attributes of God. Every relationship needs energy to grow. Today is the day you take the relationship to the next level. Even when we are tired, weary and emotionally distraught, if we spend time alone with God, we find that He injects into our bodies energy, power and strength. Dear Lord, help us to take the time to spend with You in Your word and though prayer. Help us to become more and more like You. In the Name of Jesus, Amen.